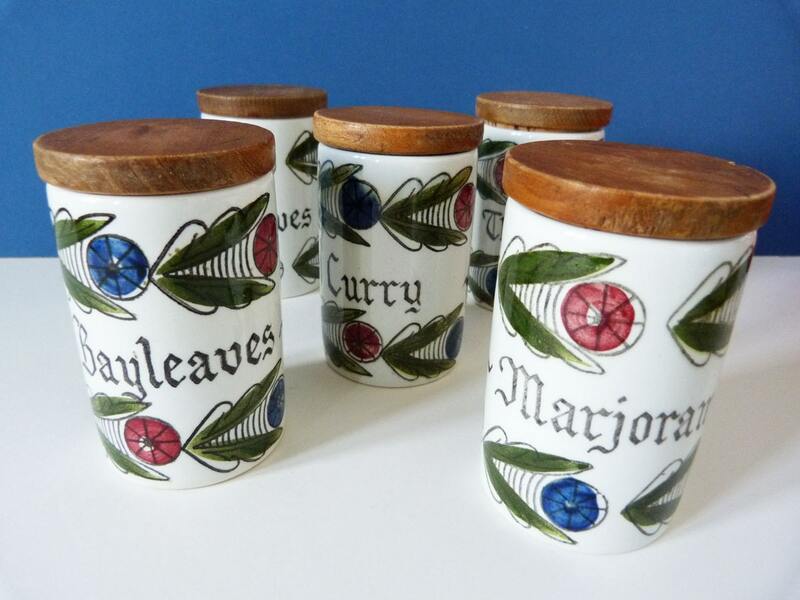 Wonderful set of 5 spice jars created by the famous Swedish company Rorstrand, the Dalom collection was designed by the wonderful Marianne Westman. 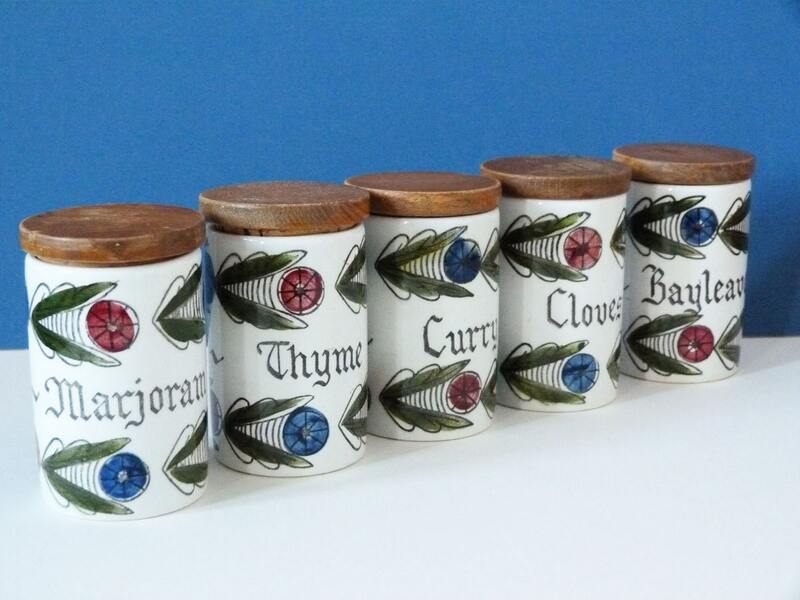 The stoppers are made from cork, with a wooden top. Each pot is marked to the base Rorstrand Sweden Dalom 74. 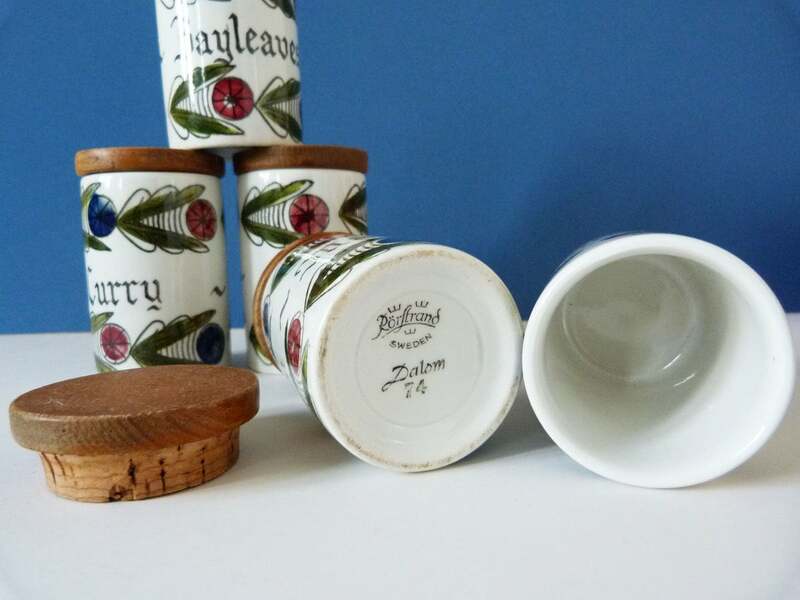 The ceramic part of each pot is in great condition, the wood and cork stoppers are a little worn, with signs of use, but all the cork stoppers are tight. 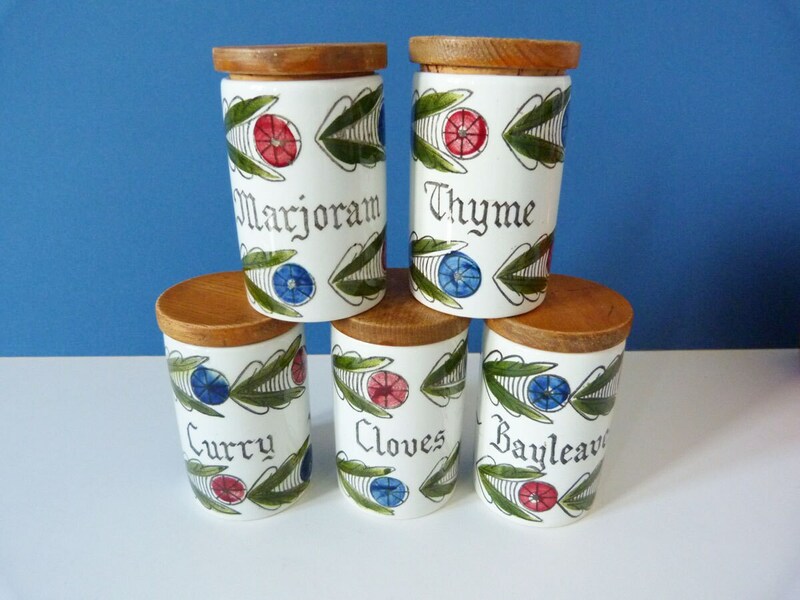 Each pot measures 9 cm tall and 5.5cm in diameter. 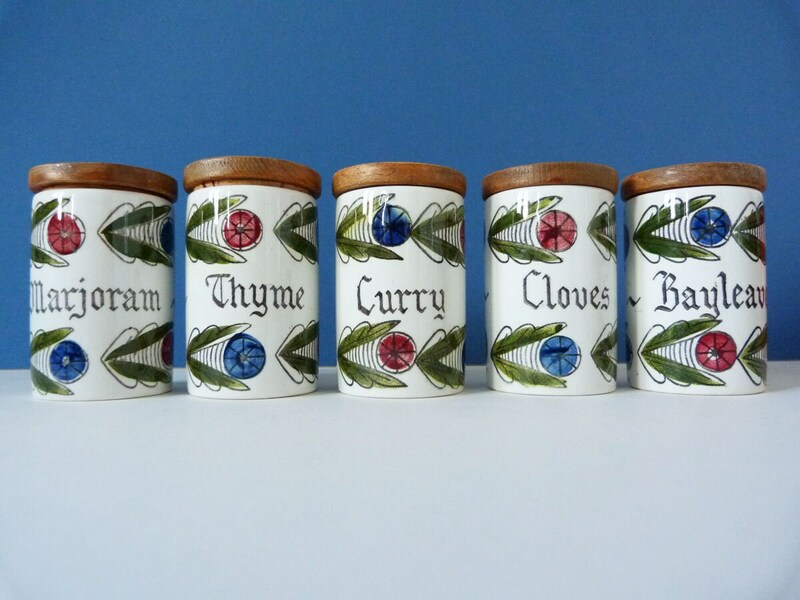 Spices: Thyme, Bay Leaves, Marjoram, Cloves and Curry.